Stephanie O'Banion possesses over 20 years of community and economic development experience. She joined the UWCT team as Vice President of Resource Development in January 2015 and in June 2016 was promoted to President/CEO. Stephanie provides vision and leadership to the organization and, with the organization staff and board team, drives the community impact agenda. She also provides oversight and leadership for the resource development team which includes the annual fundraising campaign. She joined the UWCT Board of Directors in January 2011, served on the Executive Board as the Vice President of Marketing before becoming Board Chairman for a brief month prior to joining the staff. Stephanie has deep roots in the regional community and an uncommon passion for community service. 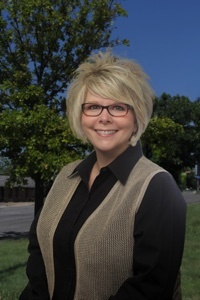 Before UWCT, she served nearly 20 years in the Chamber of Commerce industry, the last 12 of those years as the Belton Chamber of Commerce President/CEO-where she presided over the organization's growth and expansion. She currently serves as President of the Association of United States Army Fort Hood-Central Texas Chapter, the largest chapter in the world. She was selected to attend the United States Army War College National Security Seminar in 2011. Stephanie holds a bachelor of science in education from Texas A&M University and is a certified community and economic developer. She also graduated from the Institute for Organization Management in 2003 with her certificate in Non Profit Management.